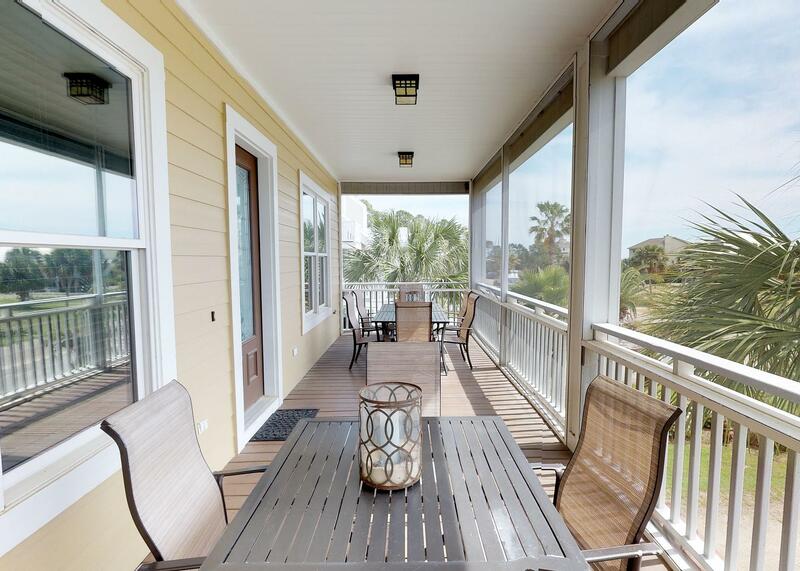 Heavenly Palms is a beautiful, upscale 5 bedroom 4 bath home with a private heated pool, elevator, screened porch and a huge manicured yard. 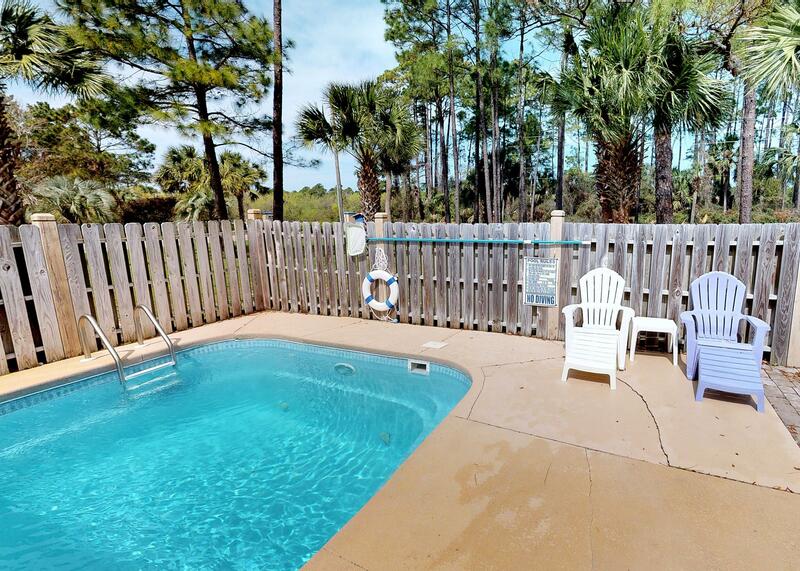 A fenced area on one side of the pool gives you a place for your dogs. 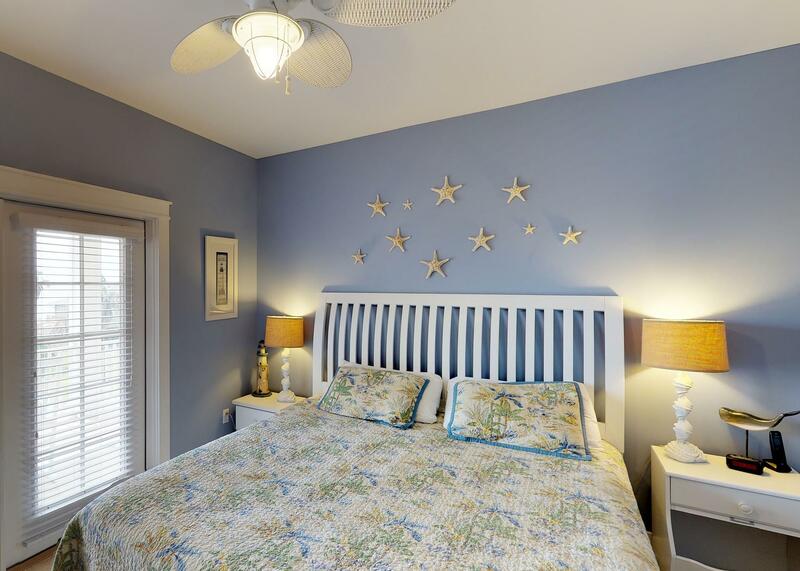 Located in a nice beachfront community, this beautifully decorated home is only one tier back from the beach and just 100 steps to the dedicated community beach access. 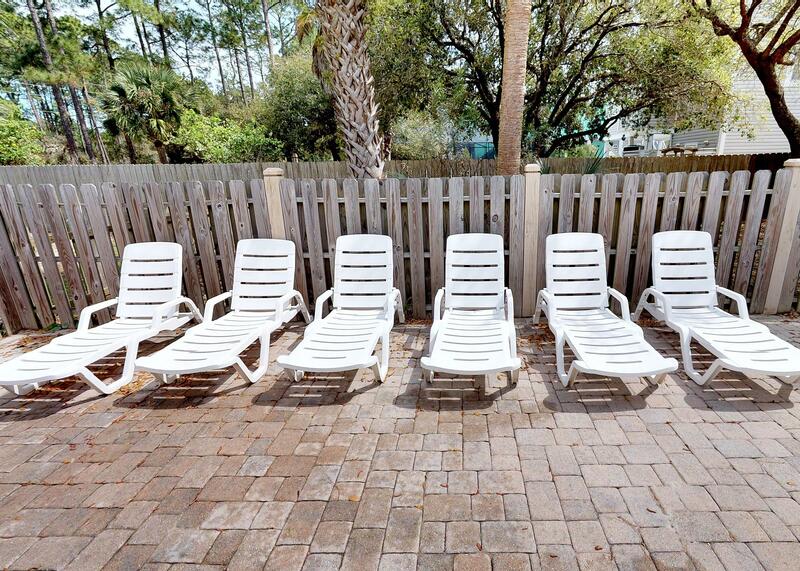 Heavenly Palms has a large private heated swimming pool with a large pool deck, poolside dining area, gas and charcoal grills and 2 full-size refrigerators with ice makers. 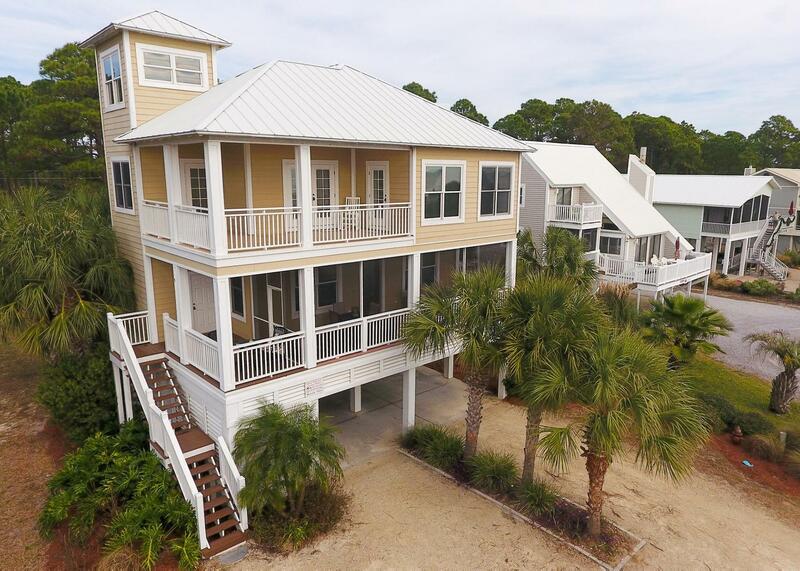 This gorgeous home has wrap-around decks and a main level screened porch, with walkouts from two beachfront King bedrooms, from the living and dining rooms. 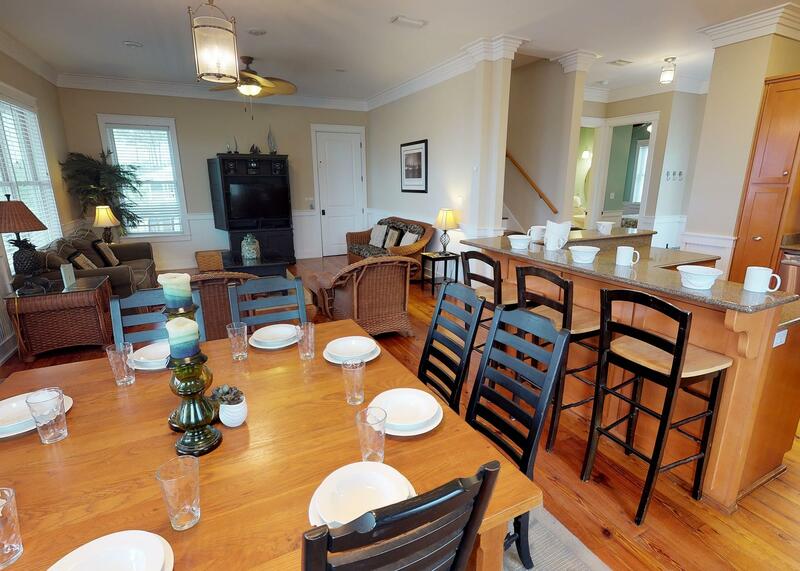 This home has everything to make your vacation memorable with over 3,000 square feet of living space on three floors. 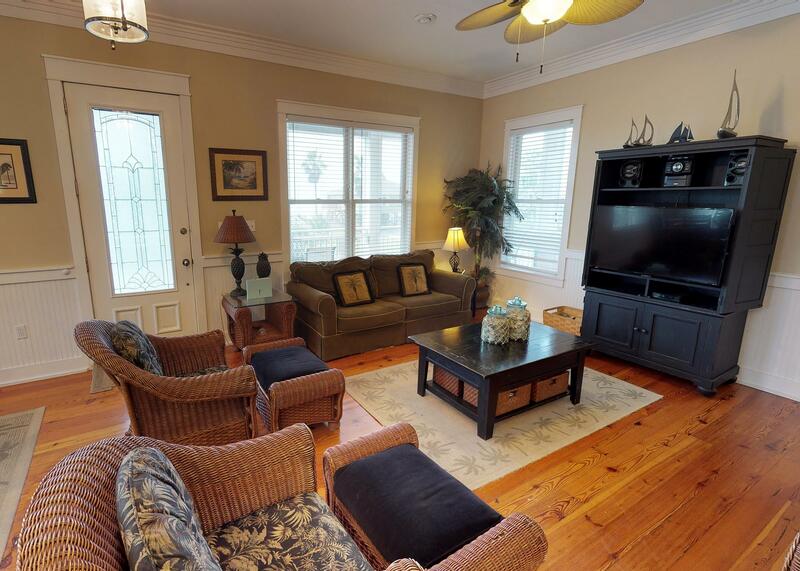 It features high ceilings and upscale finishing touches. 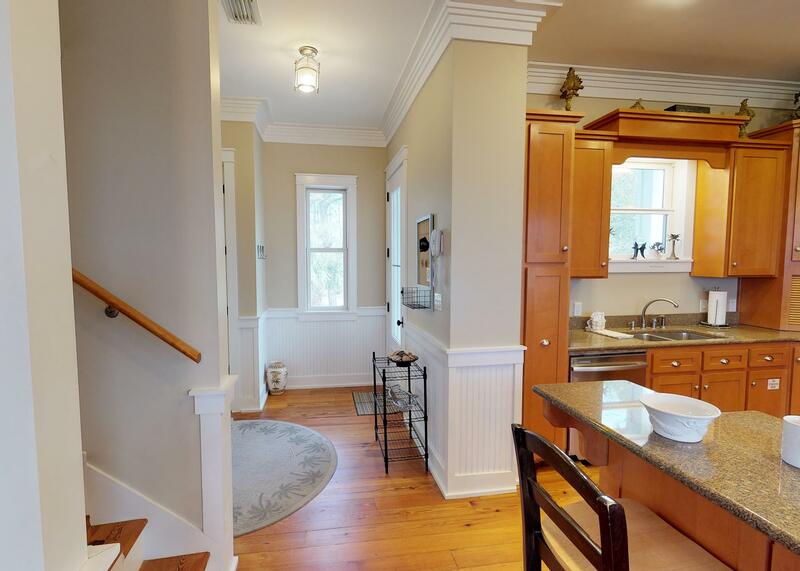 The home has elevator access to all three levels. Heavenly Palms has wireless high-speed internet access, and free unlimited long distance to the U.S. and Canada in case your cell phones are not working (common here). 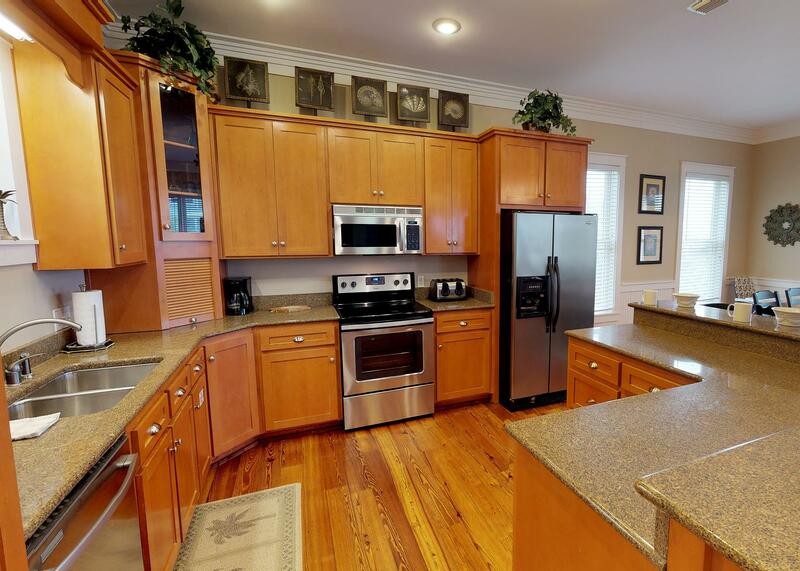 This home has a large yard, charcoal grill, gas grill, cable TV, and 5 TVs. The golf course is only 5 miles away. We have no high rises in the area and you can walk for miles on the beach and barely see another soul outside of Spring and Summer peak weeks. 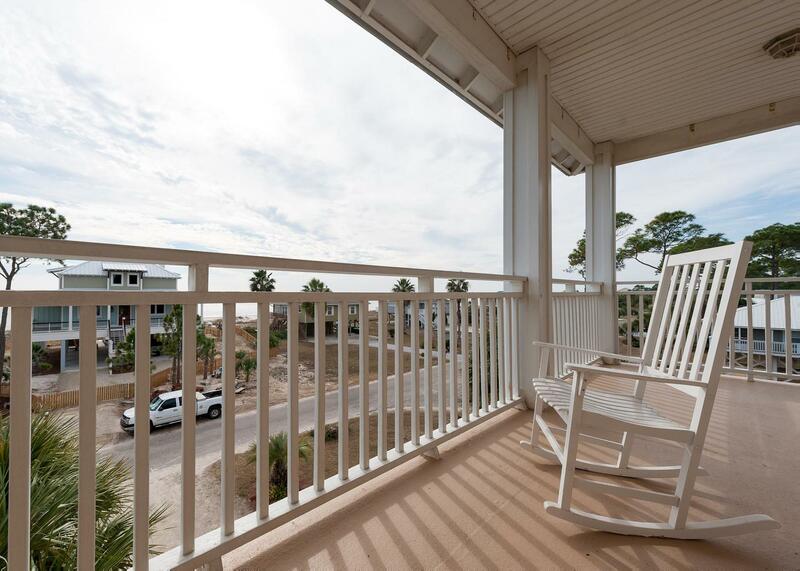 The beaches are pet-friendly and some of the nearby restaurants even have outside decks and are pet-friendly. "This was our second time staying at Heavenly Palms. Great house with lots of space for large families. 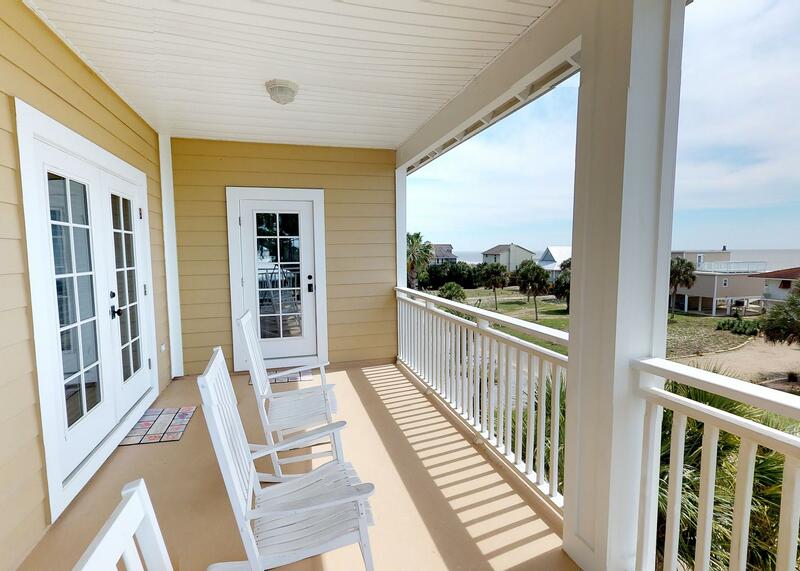 The house is located in an area that's not crowded, does offer gulf views and a very short walk to the beach. Sunset Reflections is quick to address any issues and have been great to work with. " 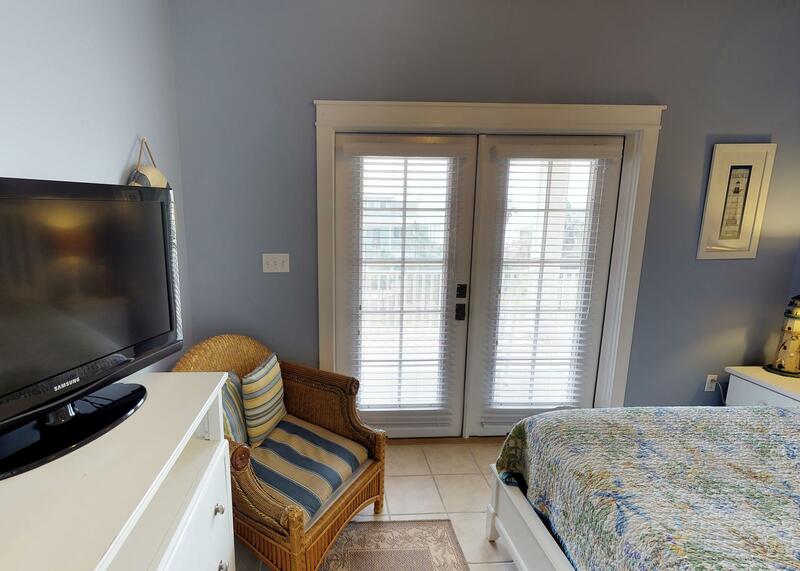 "Wonderful accommodations with great beach access. 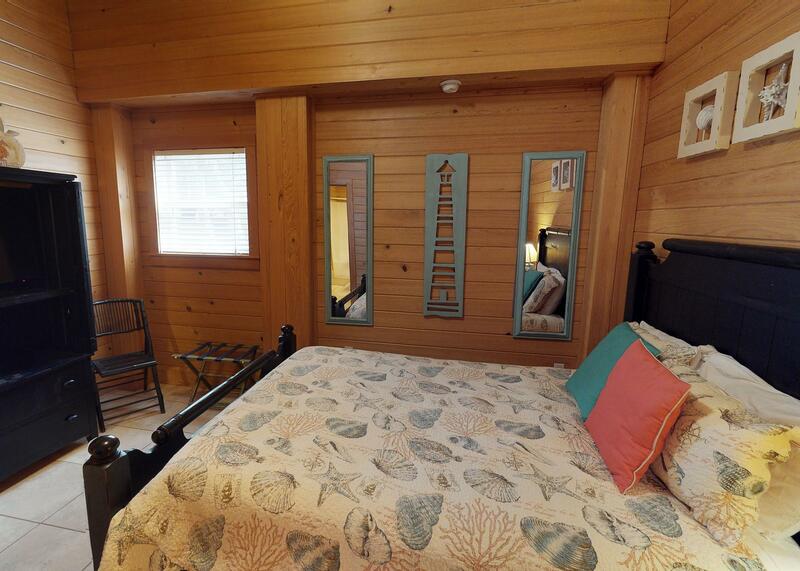 Would love to return next year"
"We had three families staying and we had all the room we needed. The kitchen was will furnished and the kids loved the pool. Great time would go back. " "This time it was a good experience"
"We enjoyed our stay at Heavenly Palms (25 Apr - 2 May 2015). The house was just what we wanted! 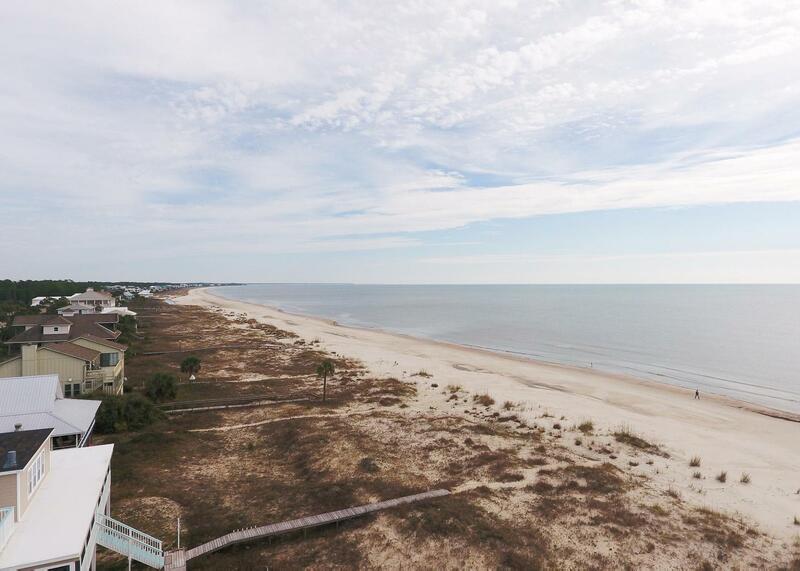 Great views and so close to the beach. Our golden retrievers were in "heaven"! We only had one day that was rainy...rest of the week was filled with Florida Sunshine!" "We thought this house was very nice! Very close to the beach. If you are looking for a relaxing, quiet time, this place is perfect. Beaches are never crowded, in fact, we only actually saw a handful of people. Dog friendly house and beach and so are many of the restaurants. " 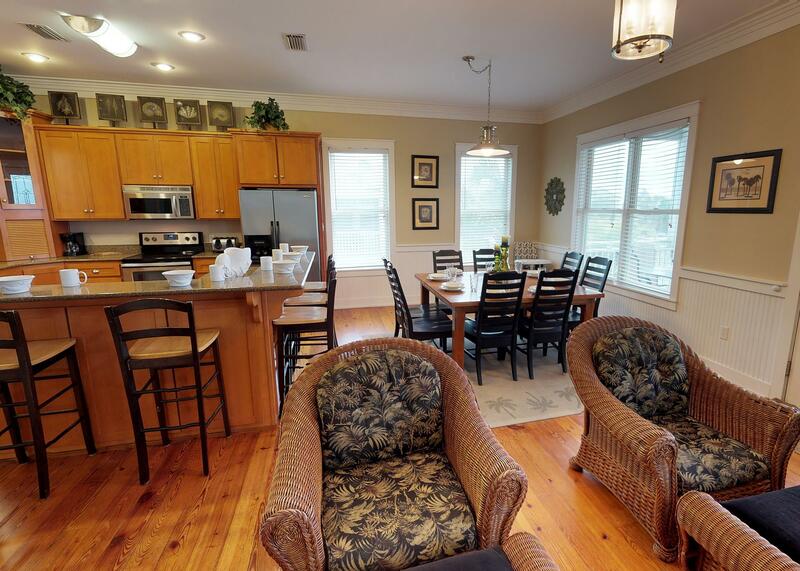 "We had multiple people from our extended family come and stay with us. It was nice because there was more than enough space for all of us. We could come together for meals and to talk in the common areas, or go off on our own to have quite time. It was perfect. All the beds were extremely comfy, which I feel doesn't happen often in rentals. Even the bunk beds were great! 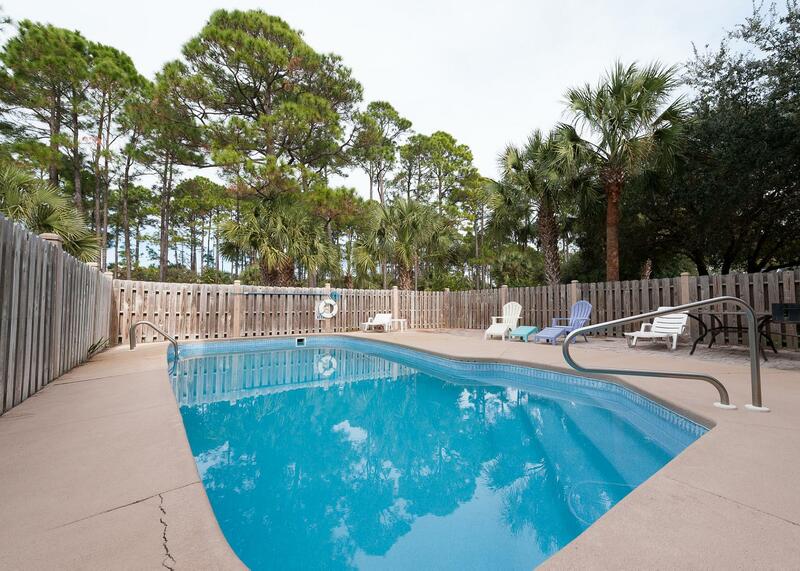 Everyone enjoyed the pool and the easy access to the beach. 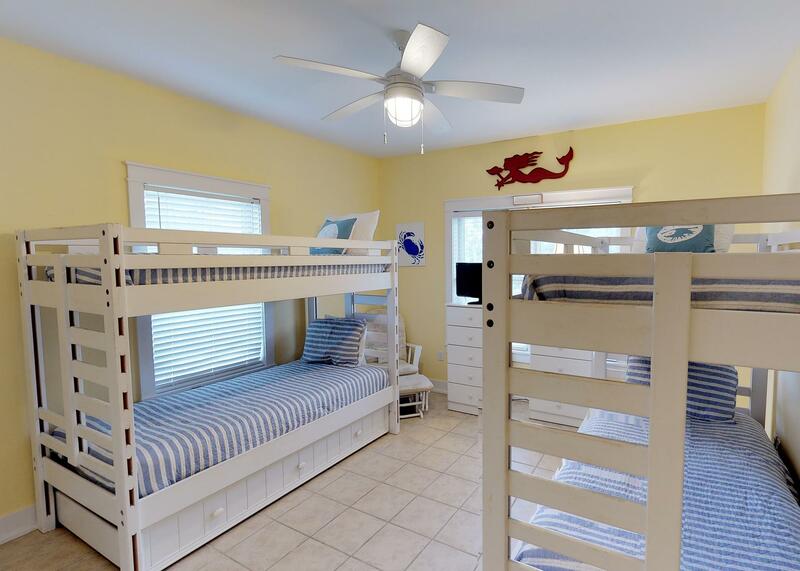 We had kids and great grandparents with us, so there were a lot of stairs to take into consideration, but it was nice that were was a bedroom on the main floor as well as plenty of room to keep things for kids at the main level. 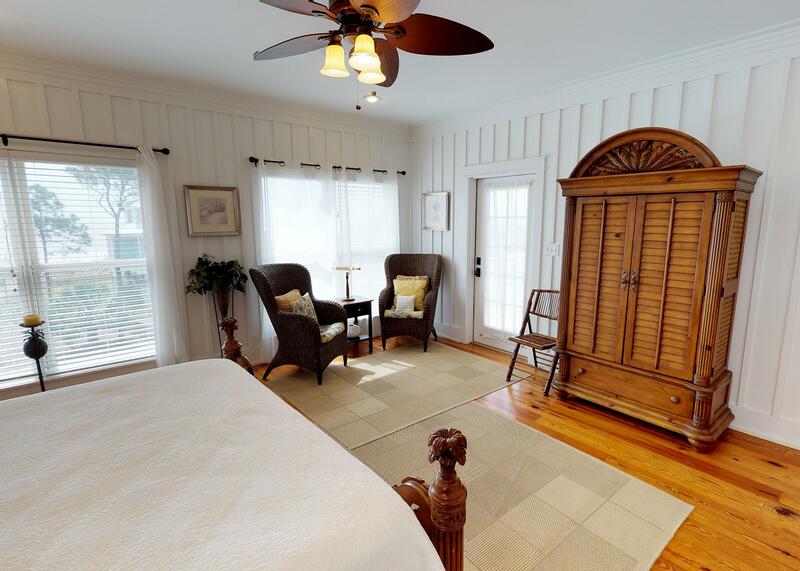 The home has been kept in extremely good condition and the furnishes were beautiful. 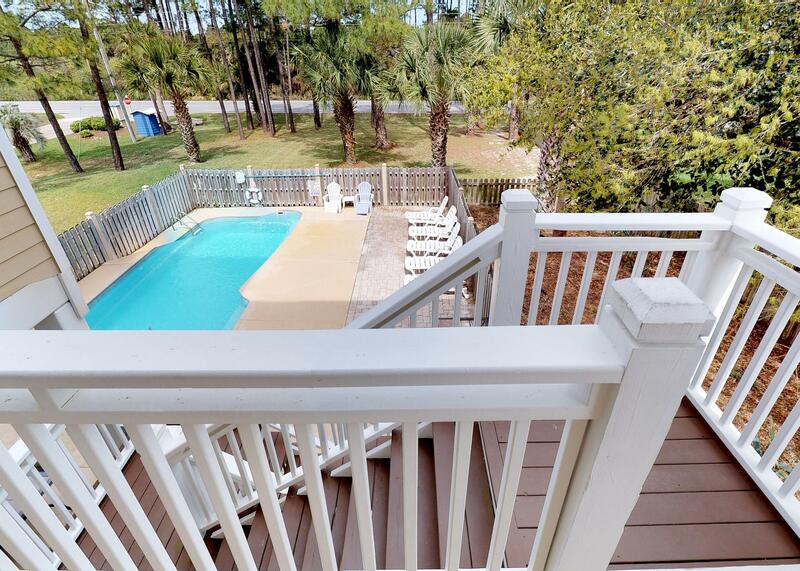 The location is nice because you are right in between Port St. Joe and Apalachicola if you want to venture out a bit. We had a great time and would come back!" "We had a very relaxing stay at Heavenly Palms. The house was well appointed and very clean. 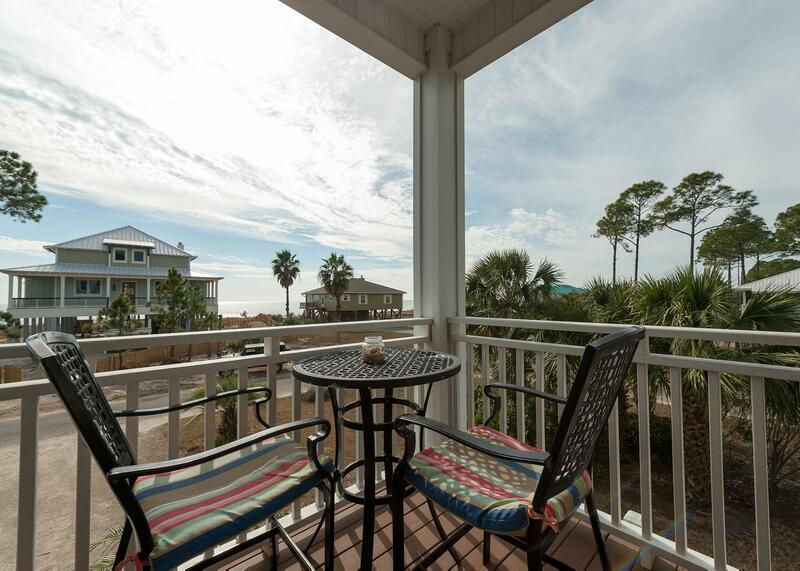 The screen porch was a delight to enjoy our morning coffee and evening dinners. We loved the heated pool and nice landscaping. The dogs loved the fence backyard- so convenient. The elevator made luggage a breeze. The beach access was awesome and the ocean views terrific! We are already looking forward to our next stay at Heavenly Palms. 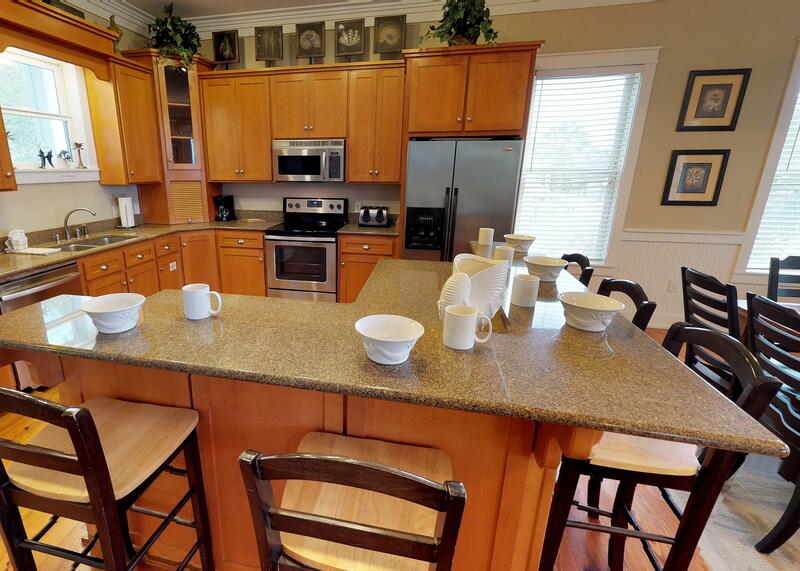 The home and the amenities exceeded our expectations. " 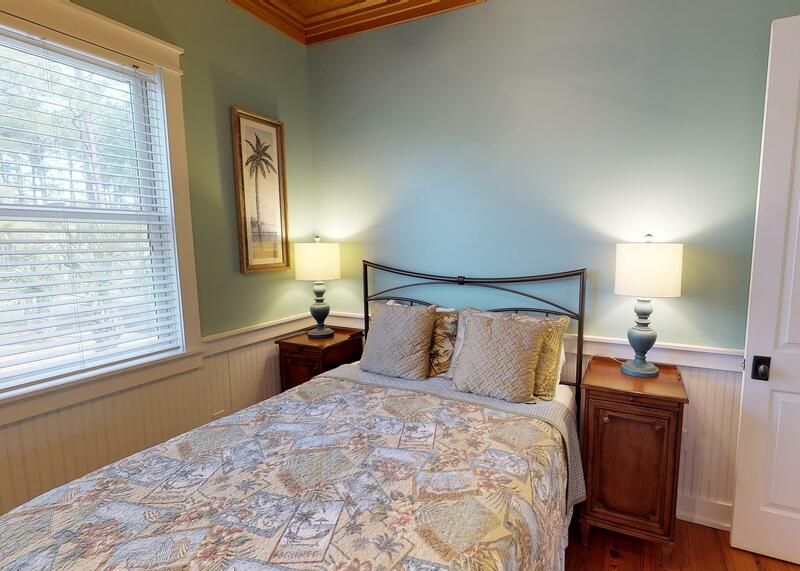 "We enjoyed our stay in this beautiful, well appointed home. 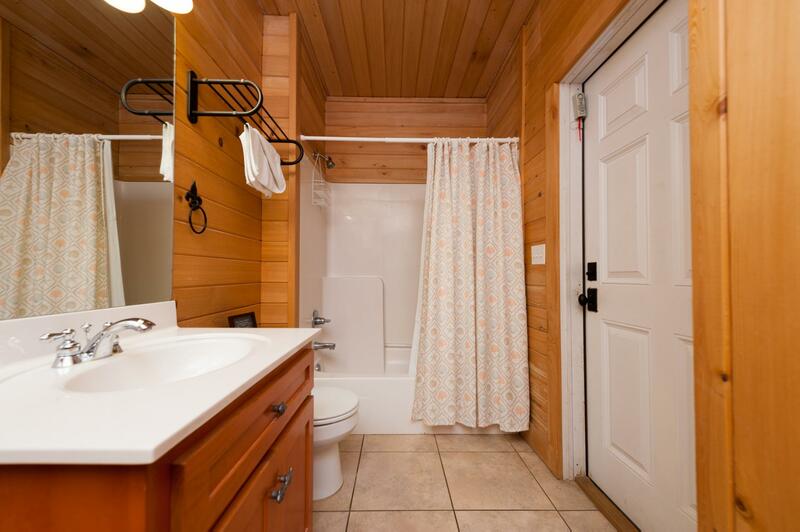 The house is exactly as it is depicted on the rental site. All you need to bring are groceries and clothing. 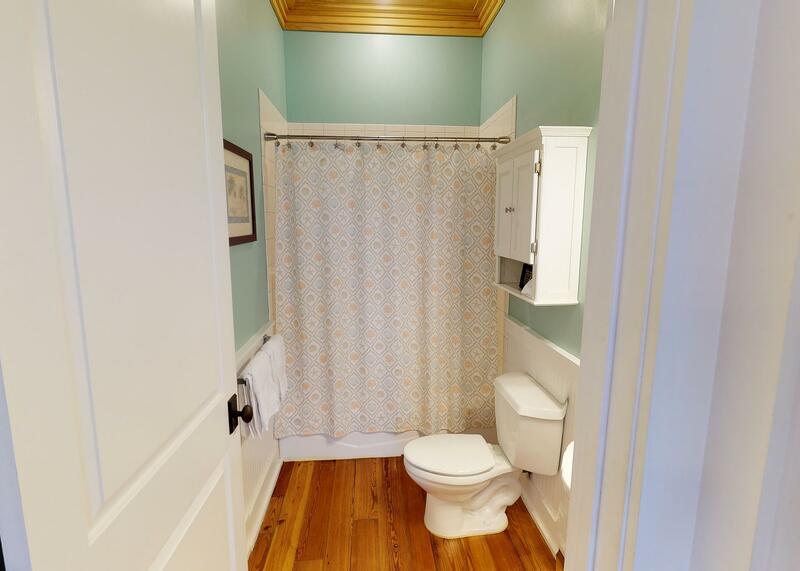 The location is convenient and on a quiet street. It is unfortunate that a very large home is being built on the lot across the street, which will obstruct the view. It was a great experience and we would not hesitate to do it again. " "Heavenly Palms "was" heaven. 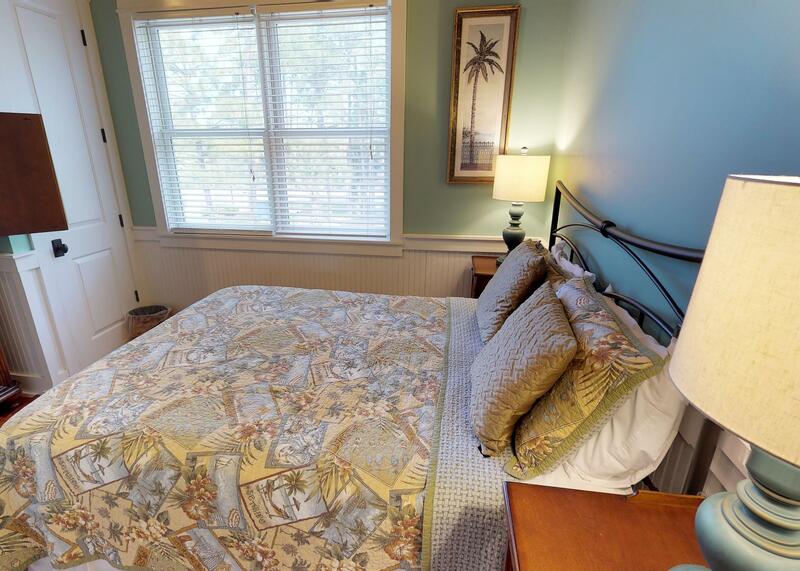 The house was very well maintained, clean, convenient to the beach and in a wonderful neighborhood. The kitchen was well stocked with cooking utensils, dishes, glasses, etc. The elevator was a lifesaver!" "Two weeks in a beautiful and comfortable home! 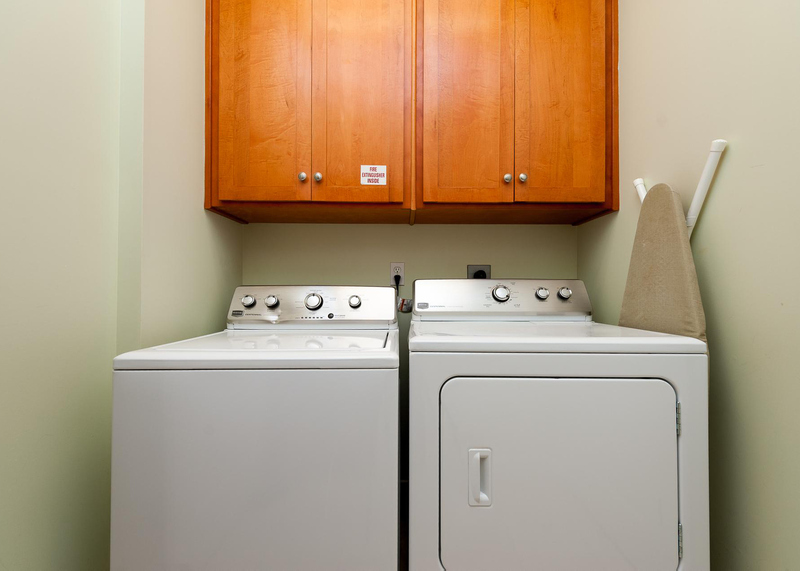 Elevator was particularly helpful for a family member who would have had difficulty with all of the stairs and also helpful for taking the groceries upstairs. 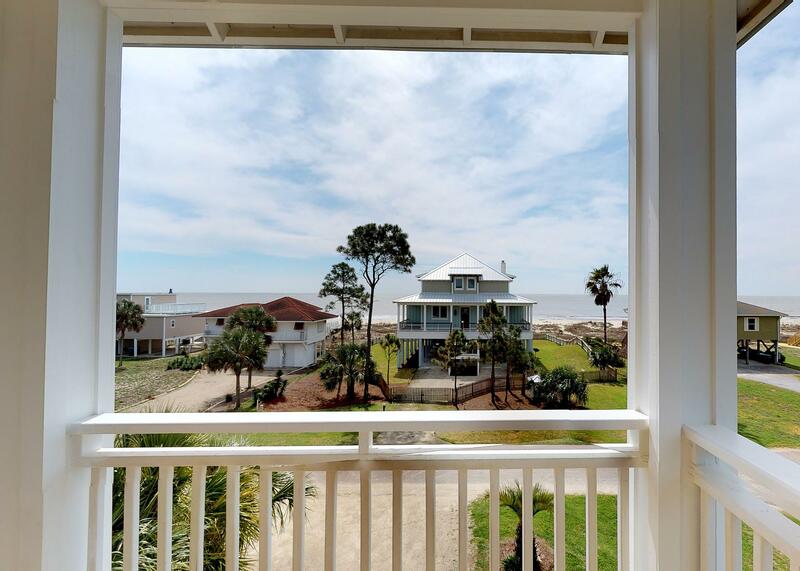 Amazing views of the gulf and beach! Sound of the waves to lull you to sleep. 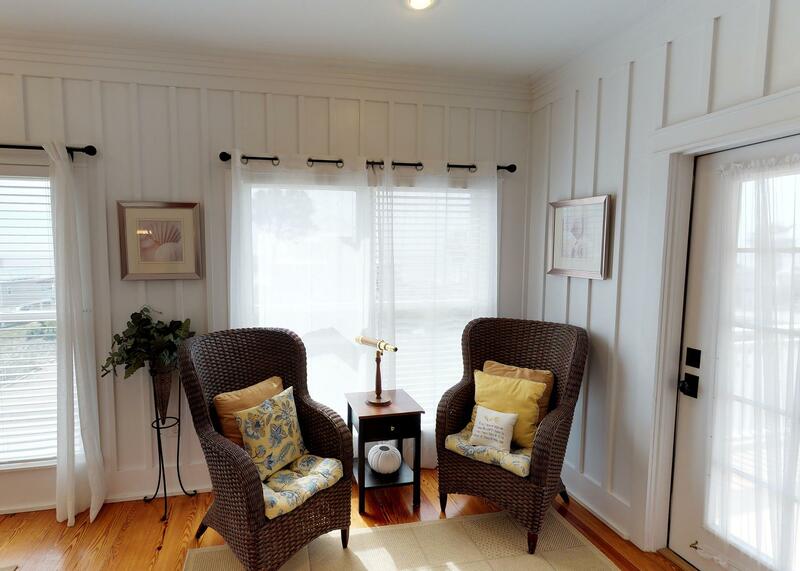 Loved the porches! Great dog lot and beach access for our dogs to run. Fabulous beach time and sunsets. Heated pool allowed us to swim EVERY day! 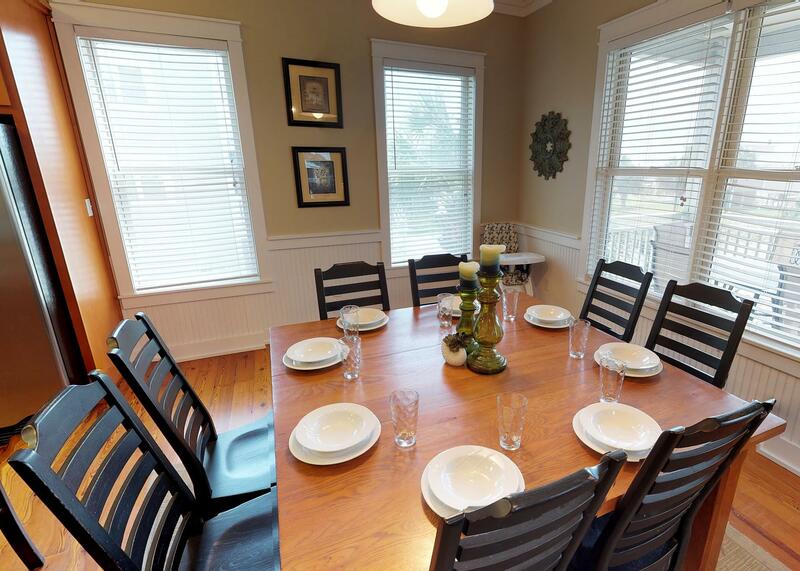 Large dining area with high chair for family meals (10 of us) and also great places to eat close by. Enjoyed the parks and hiking trails. We really didn't want to leave - ever!! " 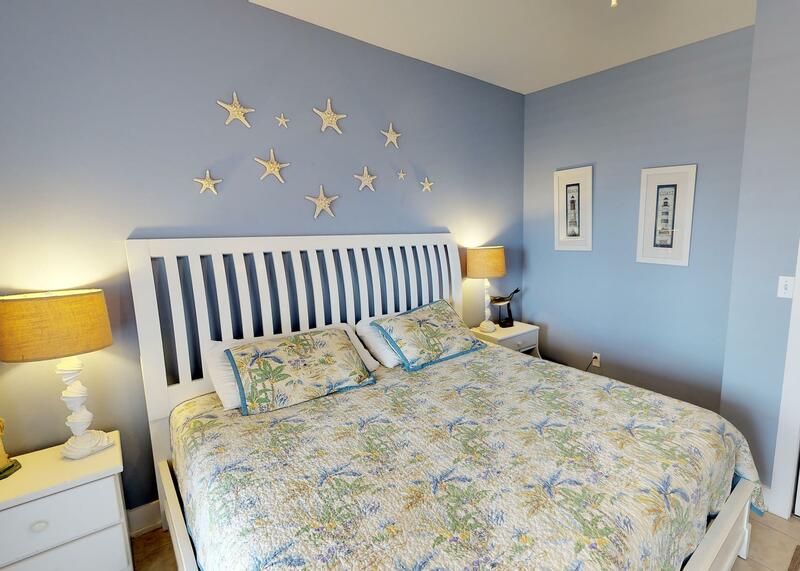 "Heavenly Palms is a fantastic home to stay in for a large family gathering, especially with lots of kids. 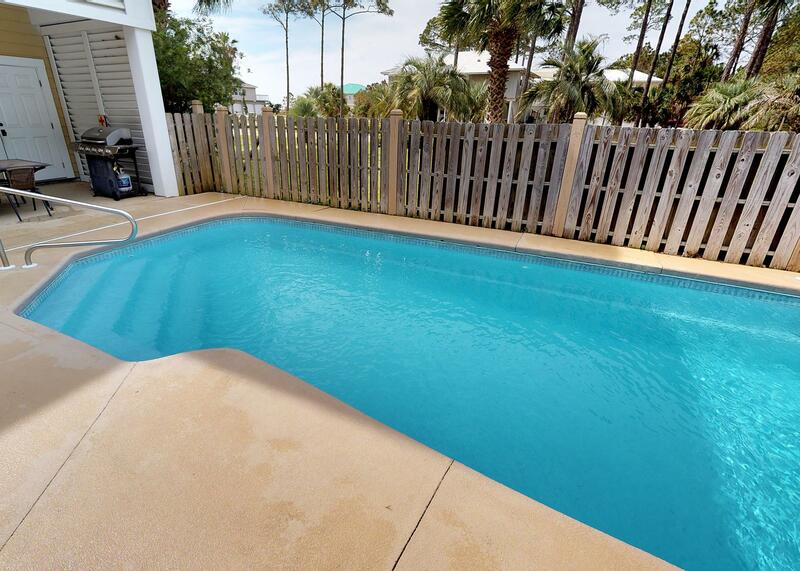 Having a pool at the house made everyday enjoyable for the little ones who don't care for the saltwater and waves of the ocean. 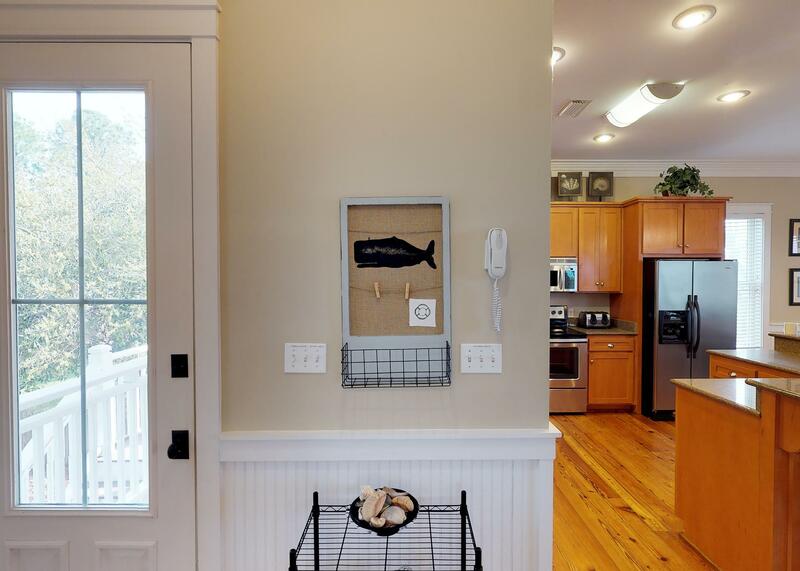 The kitchen and dining areas are perfect for preparing and serving large meals, as well as having plenty of space for kids to do craft projects to keep them busy. 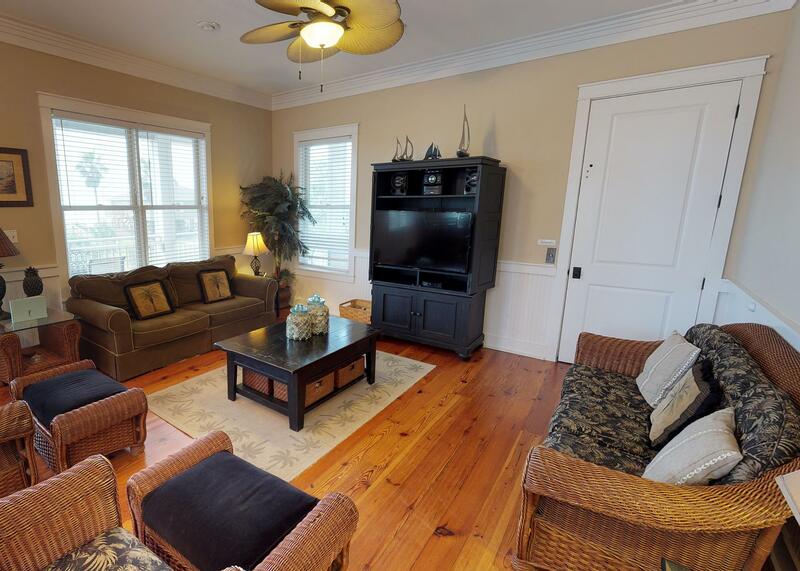 The home is very well maintained and very comfortable. 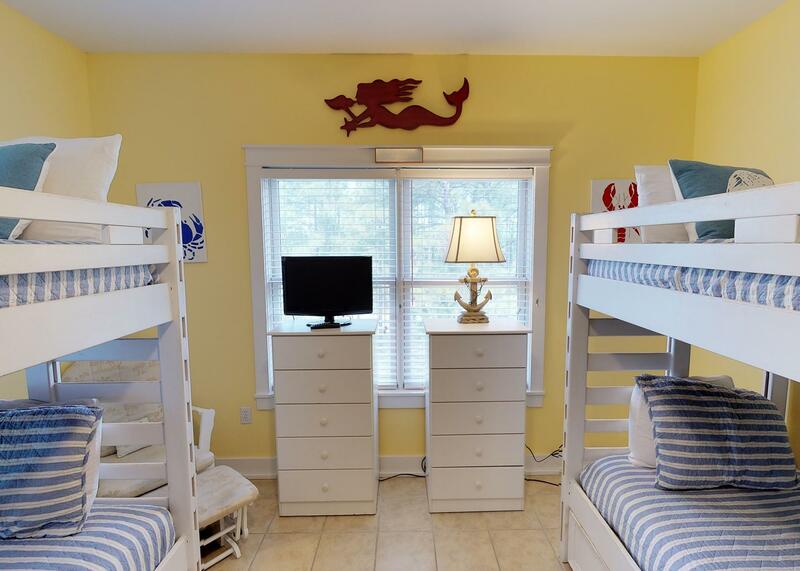 There is a perfect bedroom scenario for all, and the cousins loved getting to sleep together in the bunk bed room. The beach is beautiful and in October is very quiet and we had it mostly to ourselves. Beware the biting flies that come and go at the beach. 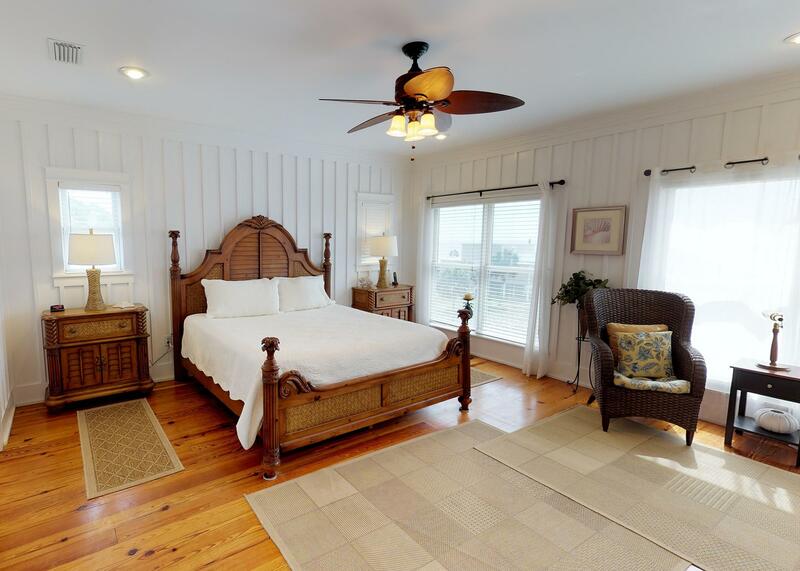 Heavenly Palms had everything we wanted in a beach house for a nice vacation in October. " "Comfortable. Spacious. Reasonably priced. Pet friendly. Beach sparcely populated. Neighbors friendly. " 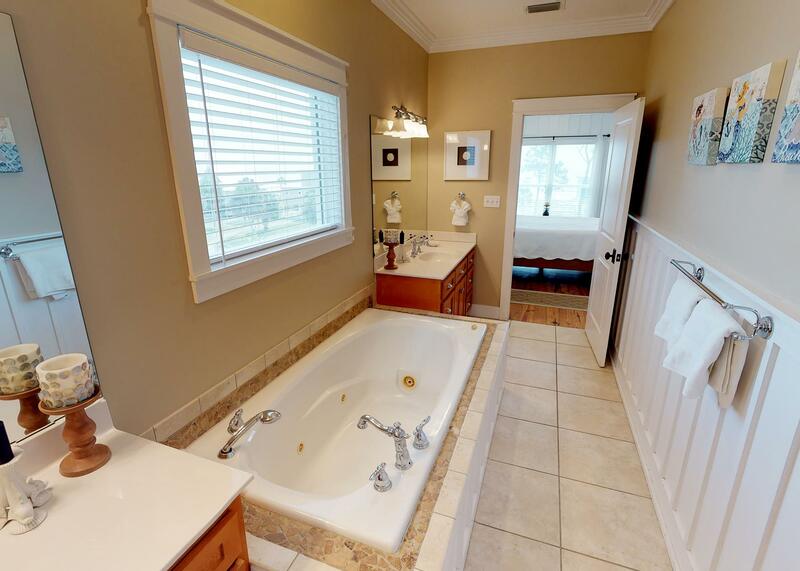 "This property completely exceeded our expectations. 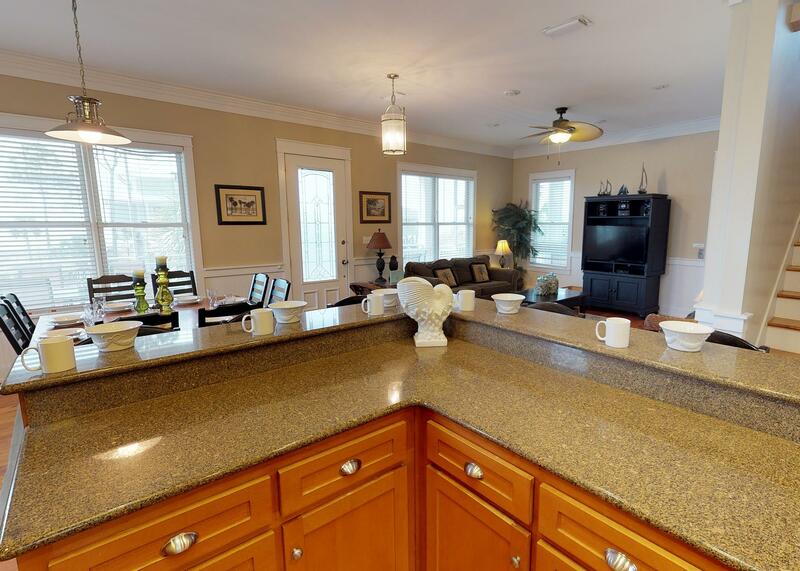 The photos on the website depicted the home perfectly. The home is in impecable condition (inside & out). The views are amazing, swimming pool twice as big as we expected and the beach clean & beautiful. Dolphins came within 15 feet off the shore one of the mornings! I traveled with adult family members, and kids ranging from the ages of 10 through 18. 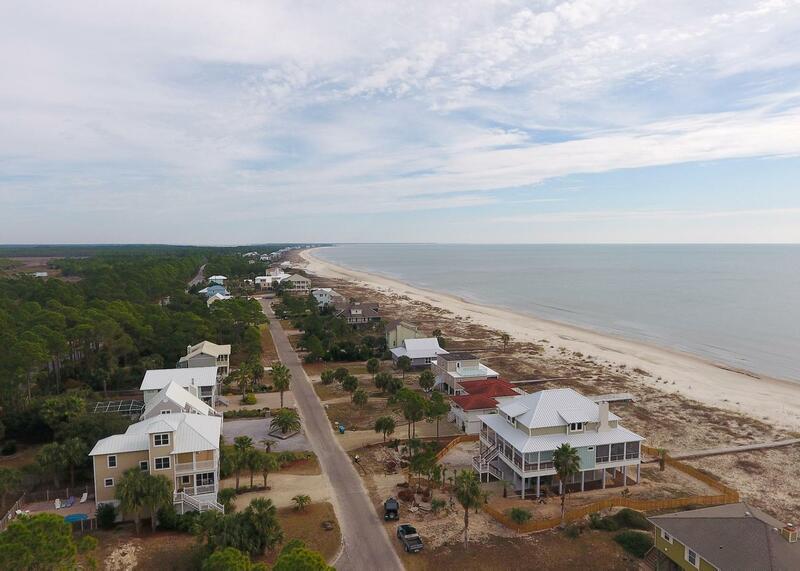 Although the area is very secluded, we found many fun things to do in Port St. Joe, Mexico Beach & Apalachicola (all short car rides; 20- 30mins). I would recommend this vacation spot for anyone interested in chilling with friends and/or family. You actually do not have to leave this house once you arrive. As long as you have enough groceries and necessities to get through the week, you will be set for a memorable vacation!" "We had a great time it was quite,very relaxing. The beach was great not crowded and very peaceful when the grandchildren could not get in the water at the beach (b/c of waves to big thats all) the pool was a big plus they loved it. The house was big enough for everyone lots of privacy. Everyone had a GREAT time. Looking forward to coming back. " "Great location !! No cell phone reception made for a family week without the cell phone interruptions . Pool nice !!! Yellow flies were horrible !!!! "We had a wonderful, fabulous time at Heavenly Palms April/May 2014. The house is gorgeous and the private pool and beach are amazing. I did find the location to be a bit remote, but having a barbeque by the pool made preparing dinners much easier. Listening to the ocean each night before falling asleep was very soothing. 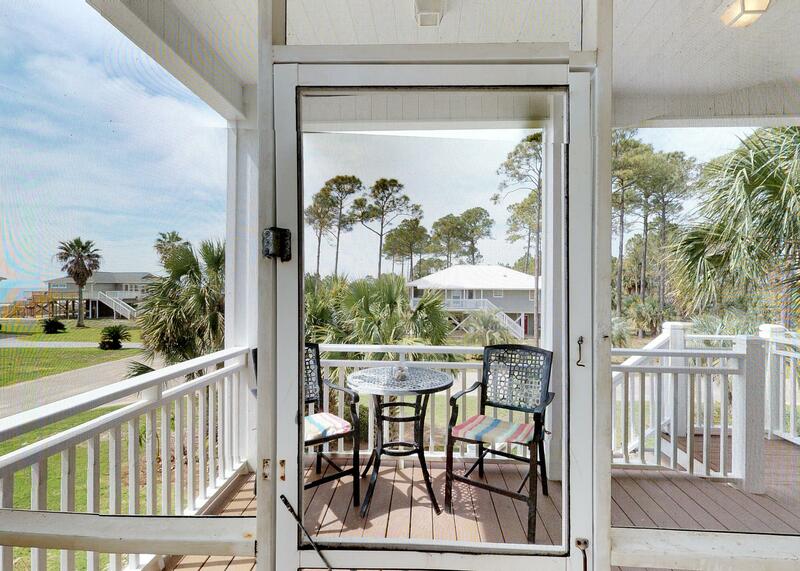 The screened in deck was my favourite spot to read and just watch the ocean. We spotted many dolphins every day and our dog enjoyed the beach even more than we did! Definitely an amazing vacation!" "The house was lovely, well decorated, kitchen had all you needed, the view was great and luckily the weather cooperated to make our week enjoyable. Enjoyed the pool, nice size to do a few laps and private. 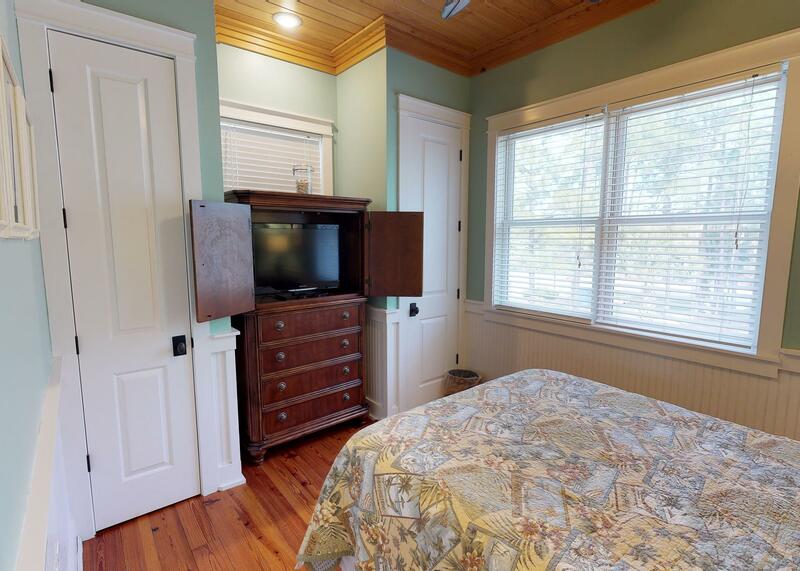 Location is a bit remote if you're looking for a "do something every minute vacation", but if you're into relaxing and some exploring the quaint local areas, this house is recommended. " 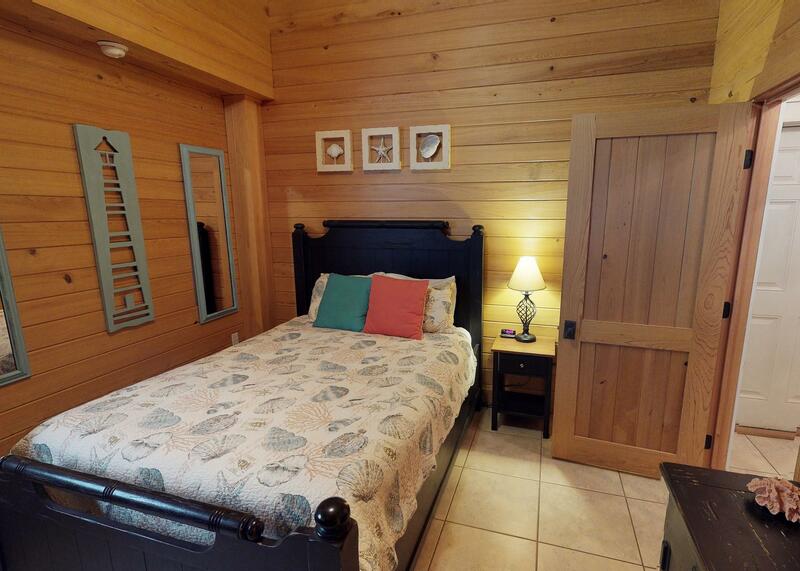 "My friends and I always enjoy staying at Heavenly Palms. 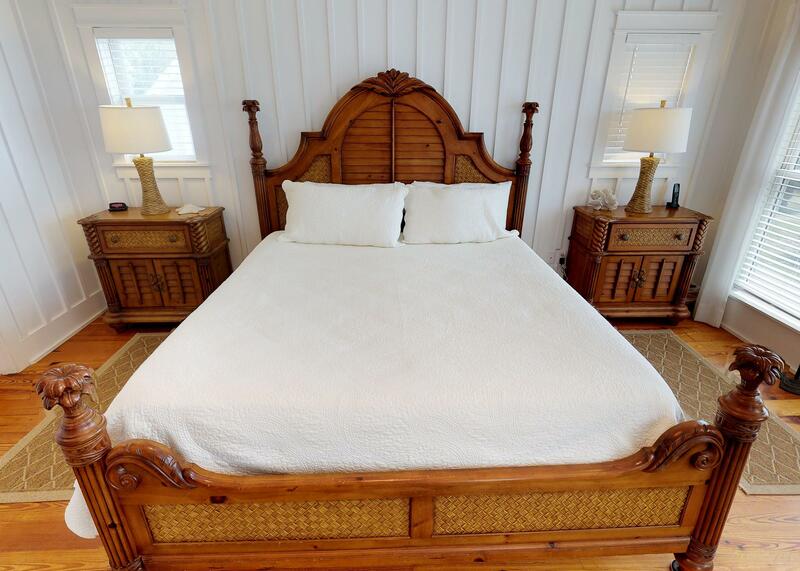 The area is quiet; the beach is clean; the house is well-maintained and large enough that my group of 7 or 8 ladies do not get in each other's way." "If you are looking for laid back this is the place. Loved the house and pool. " "We had an awesome time at the beach. The weather was terrific and the house was incredible. Lots of room for everyone, including our dogs!" "My husband and I plus our Golden Retreiver, had a wonderful stay at Heavenly Palms for the month of January. 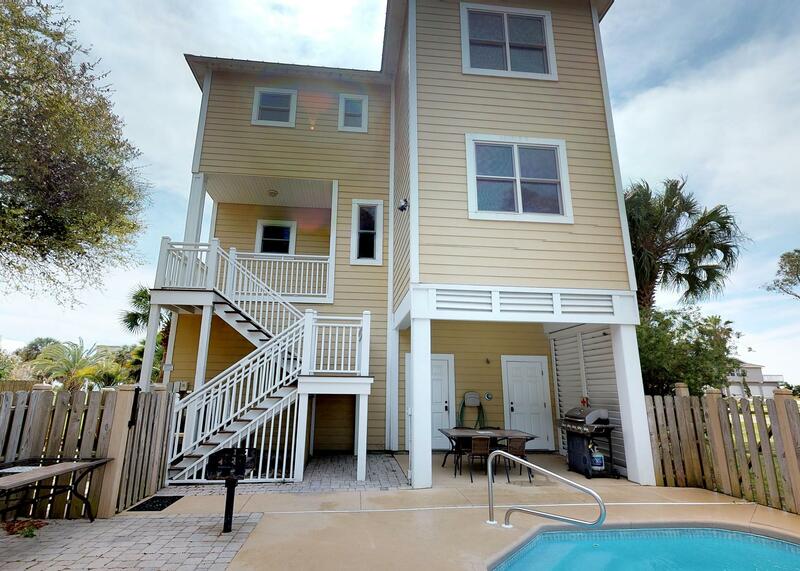 It's a beautiful home, great location, close to the beautiful beach, close to Port Saint Joe, Indian Pass Raw Bar, 20 minutes to Appalachacola. The elevator is a big help transporting luggage and groceries. Nice quiet neighborhood. Everything was perfect. 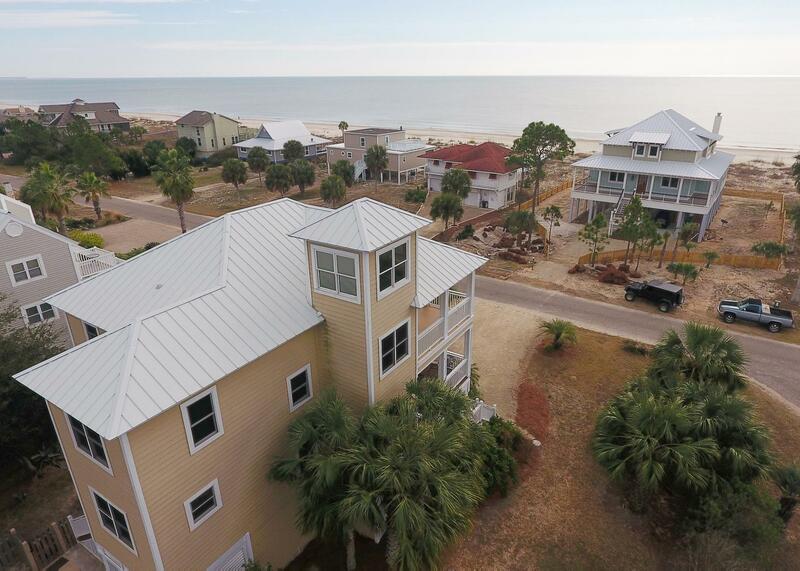 Can't wait to return to Cape San Blas." "We had a great visit. We had two dogs, plus my son and his wife and their two college age boys. The boys flew in to Panama City on Thursday since they were still in classes. We had plenty of room and privacy. Separate rooms for the boys.I love the dog friendly area! The dog run was wonderful to have, we could just let the dogs out of the back door and they could tun down the stairs, so we weren't having to constantly walk them. It was a great week!" "Great time! Very relaxing for our multi-generational family. We would definitely come back to the area." "We had a great week at the beach. The house was perfect. The elevator made it easy to get our luggage and older dog to the upper floors. The pool was a nice bonus to relax and cool off. 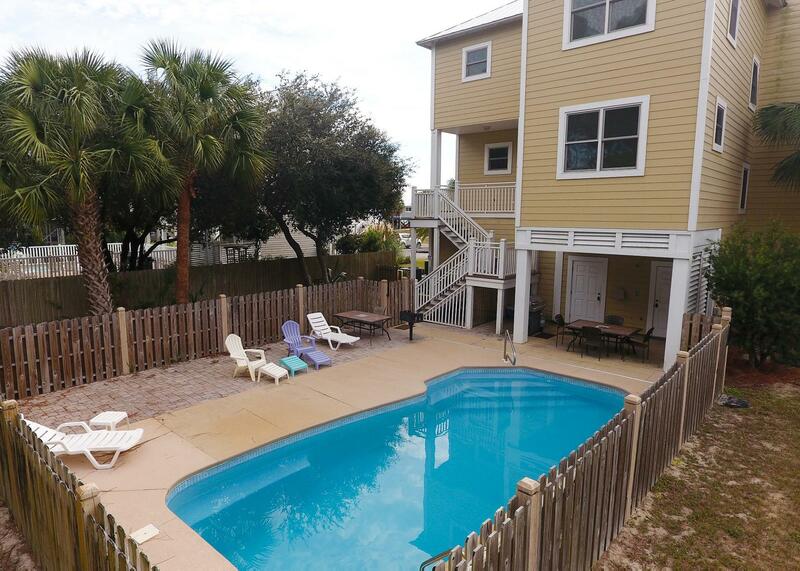 Enjoyed our stay and appreciate the owners allowing our furry kids to accompany us on vacation." 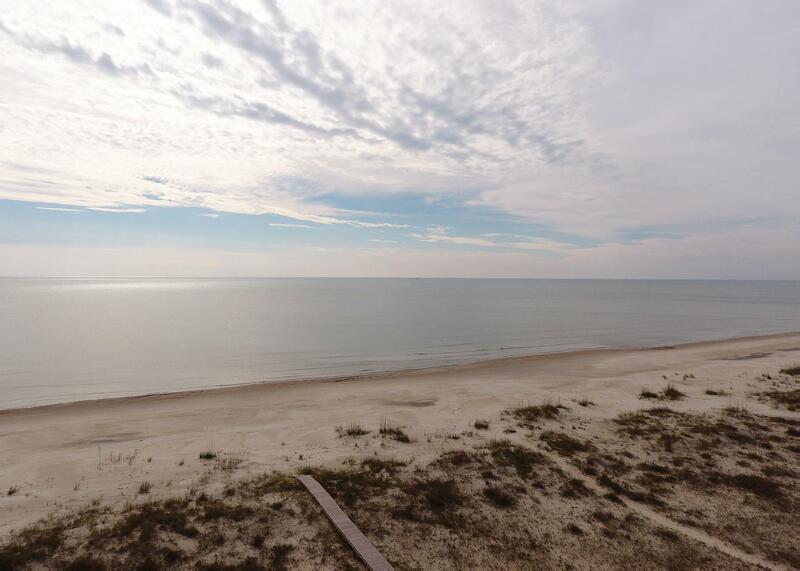 "This is our 5th time visiting Cape San Blas , we had never been in October! The weather was great, however the stabile/dog flies are awful this time of the year - This house was well laid out and very accommodating to everyone needs- we had a house full of 11 and we seemed to have everything we needed here. 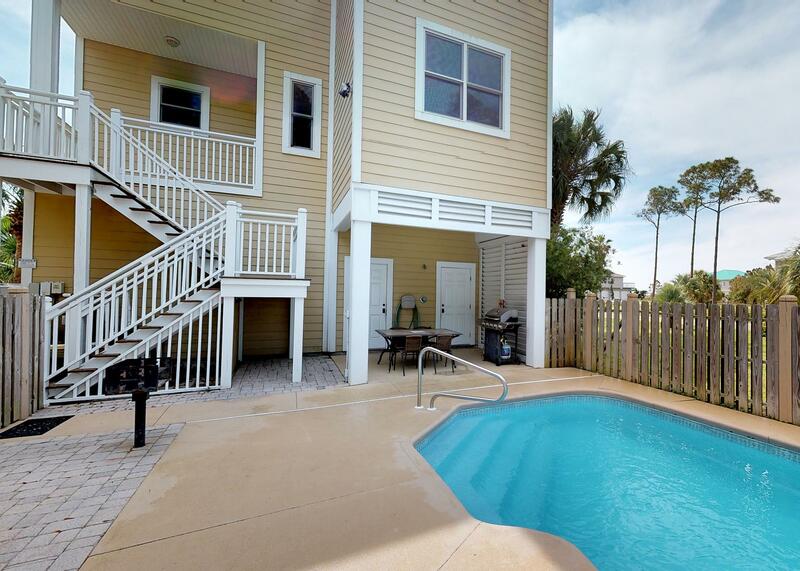 The pool was a great addition to the property and the walk to the beach was very short! This side of the cape didn't have very clear blue water like we are use to on the other end near the state park-the closeness to the beach was great for trucking things back and forth!" 1. Is the outdoor shower enclosed? 2. Are any of the toilets higher for handicapped visitors? The outdoor shower is not enclosed. Currently Heavenly Palms does not have handicap toilets. 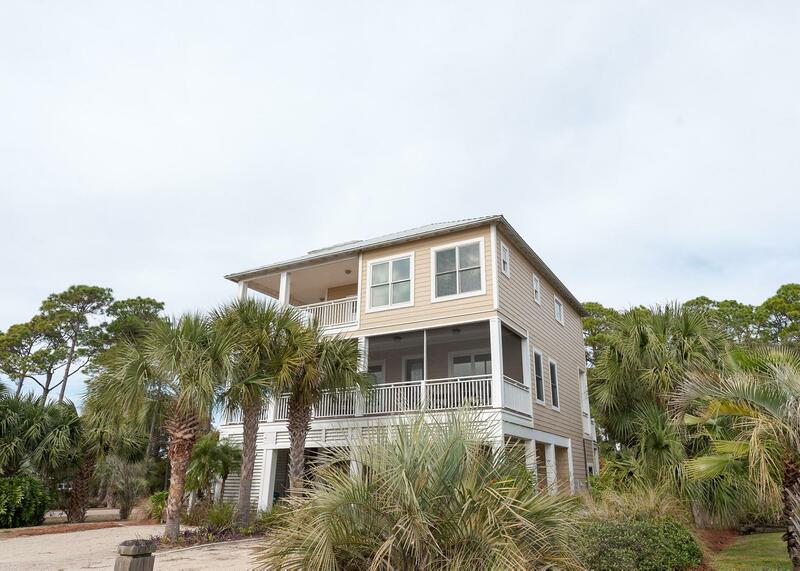 Please call us at 877-265-4252 and we will be happy to help you find a beach house that will fully meet your required needs.